Sport Relief – Ignore the celebrities, it is the cause that counts. 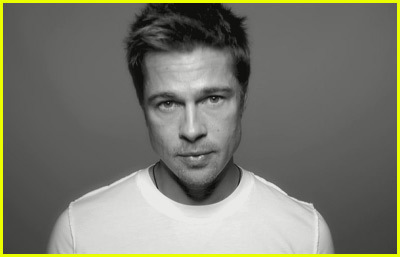 Brad Pitt in the "One" Campaign. Just one example of celebrity charity culture gone crazy. On Sunday 21st March I am going to do the 6-mile run in support of Sport Relief. This is nothing compared to Eddie Izzards marathon-a-day feat or David Walliams swim across the channel but it all helps. These two celebrities are rare examples of people in the publics eye that honestly believe in what they are doing. I have heard both on numerous occasions give time, money and status to different events. Sadly, I think they represent the minority of celebrities. In the past I have been put off these mass fundraising events, the whole celebrity culture of gesture charity I find to be a bit nauseating. Indeed, at first glance this is one of the same. Celebrities boost their profile by raising the sort of sums of money they earn in a week and then pat each other on the back while the press slobber over juicy photo opportunities. Who benefits here in the long-term, other than the celebrity? What you cannot disagree with where the money goes however. It goes to help disadvantaged, often marginalised people, both home and abroad. It makes a real difference to real people’s lives. OK, its not going to change the system; after sports relief (and comic relief) thousands more are going to go homeless, millions more die of starvation and billions face shortages of food. It will though make a difference to some people’s lives, and this should not be sneered at. Sometimes its enough, and sometimes its all we can do is to help individuals. What should be sneered at though are the self-promoting celebrities who are forced to smile in front of the cameras by their PR managers. Not all celebrities are like this, but sadly, the sceptic in me suggests that many are. If celebrities want to help, do it behind cameras. I was inspired to hear Sam Roddick talk about using celebrities cleverly behind the scenes to “seduce” politicians (If Angelina Jolie asks Gordon Brown for a lunch meeting he is not going to say no!). Millions of ordinary people however, are giving up their time and money to support a really good cause. It is amazing in an era which the press keeps telling us is marked by selfishness that people are happy to do these sorts of events. I find it quite up-lifting. I ask all of you to give generously to those friends and family who are taking part in this mass nation wide fundraising. Do not though fool yourself into believing (or even worse giving money to) those celebrities who like to promote nothing but their moral credentials. Did you know that Brad Pitt is worried about child poverty? Come on…. If you want to support me, log onto my secure just giving web-site. Thanks.